India with its rich traditions for generations attaches highest importance for Hosting Guests. The very act of hosting, according to Indian doctrines ushers humans to a pedestal of Divinity; and the Guests by their satisfaction bless the Hosts into everlasting prosperity. Achrol Niwas, your Rajasthan Guest House, Star Hotel, Resort, Health Club and A Home Away from Home – all combined - follow this cultural tradition meticulously. 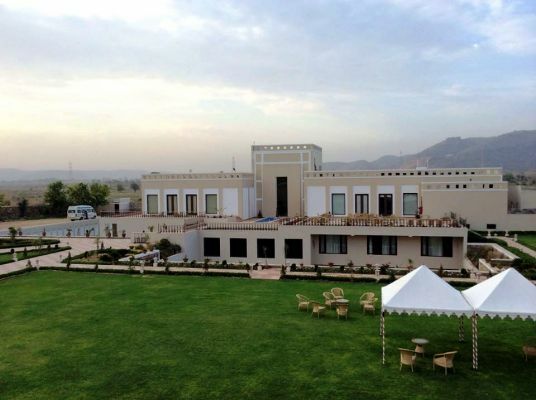 Located on the serene and tranquil outskirts of Jaipur, the capital of Indian State of Rajasthan, away from the buzz of Jaipur Metropolitan, Achrol Niwas provides you the much needed peace, and yet all the sophistication and modern facilities of today’s Hospitality Sector.